Salesforce.com is widely believed to be one of the most mature and stable Software as a Service (SaaS) options around. But that doesn't mean it's not without problems, such as its proprietary language. Is it possible that its limitations might lead to a move from SaaS? "The Force.com platform is restrictive in that you have to use their proprietary language and tools to build these apps," said John Staten, analyst with Forrester Research Inc.
Salesforce's Heroku cloud, which is not fully integrated into Force, is more flexible but also has its limitations in that it's mostly restricted to Java and Ruby coding, Staten added. Since Heroku does run on Amazon Web Services, a customer can actually bridge to a more fully featured platform to do as they wish. 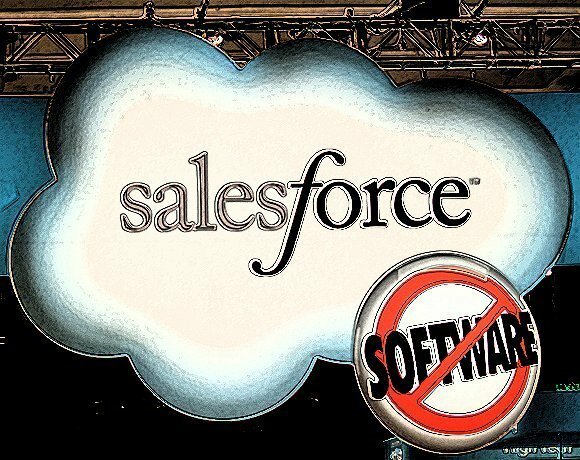 Despite Salesforce's insistence on using proprietary language to build apps on Force.com, its overall flexibility will continue to open doors within the community. Its SaaS stronghold remains as tight as ever, Staten said. Some analysts believe, however, that Salesforce will actually begin a move from being a tired-and-true SaaS provider to more of a Platform as a Service or, dare we say it, an infrastructure business. "Going forward, it will be about building within their ecosystem, including building new products and acquiring others," said David S. Linthicum, senior vice president with Cloud Technology Partners in Boston. Salesforce is expected to continue its focus on the enterprise by providing key customer relationship management processes and customizing its services to the specific services an enterprise needs. To put it another way, "so far, so good with those guys," Linthicum said.